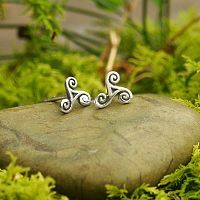 - Triskeles, or triskelions, are pretty much universal in Celtic art. These 3-legged whorls reflect the deep fascination the Celts had with various triples, such as Maiden/Mother/Crone, earth/sea/air, past/present/future, and so on. 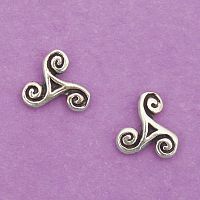 Sterling silver stud earrings measure 1/4" across. 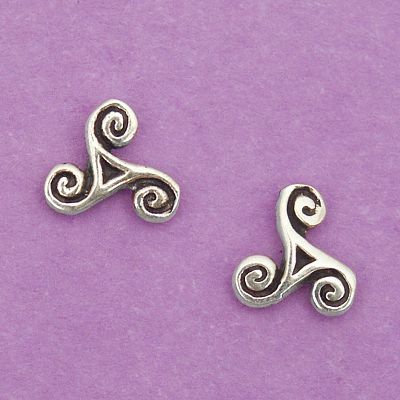 Do you have any other questions about our Silver Tiny Triskele Stud Earrings?